Baking soda, which a natural cleaner and can be used before polishing. Mild dishwashing liquid or a similar cleaner can also be used. Chalk in powdered form or a commercially available marble polisher. Diamond polishing pad or cloth with microfibers. Abrasives like steel wool or brush with hard bristles should never be sued on marble surface. Cleaners with acidic content must be avoided for marble. Spills, semi-liquid stuffs or food items like coffee, tomato, lemon, vegetable greens and vinegar should be immediately removed from the marble surface. 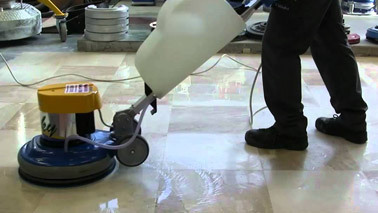 1.Choosing the Right Cleaning and Polishing Products: Marble surface should always be well cleaned prior to polishing. 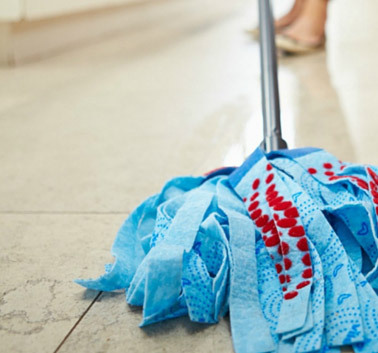 A mild or organic cleaner, specifically meant for marble cleaning, should be used. In case you don’t want to go for a commercially available marble cleaner, a few tablespoons of baking soda or a mild liquid dish cleaner can be your alternative. One should always use marble-specific polish, and polishes with polyurethane and acrylic finishes should be avoided. Many marble polish are meant for specific colors and it is therefore necessary to carefully read the labels of the polish. The polish should be applied exactly the way as described on the instructional manual that comes with the polish. A cheap yet effective alternative to a commercially available polish is chalk that can be used in the form of powder. 2.Washing the Marble Surface: Thoroughly clean the marble surface with a cleaner of your choice and allow it to air dry for a few hours before moving on to the polishing phase. 3.Start polishing from the centre of the Marble Worktops Surface: Be it chalk powder or commercially available polish, begin polishing the marble surface right from its centre. In case of chalk powder, use a wet cloth with microfiber immersed in the chalk powder. When using chemical polish, put a small quantity of the same on the centre of marble slab or floor. 4. Buff the Marble Surface in Circular Motions: Gently buff the marble surface by making circular motions using a soft cloth or diamond polishing pad. First move right, then left and finally to the centre. Next, move upward, then downward and eventually back to the middle of the surface. Repeat this process for several times and in case you are covering a large floor, it is suggested to divide the whole floor in smaller sections and then performing the task one by one on all the sections. 5. Allowing the Marble to Dry: A chemical polish results in a spotless and clear marble surface after it gets air dried. If a chalk powder is being used for polishing, it will take several hours for the marble to air dry. Once the surface is completely dry, wipe it with a wet and clean cloth. Re-wipe the surface, but this time with a dry cloth. The marble worktop surface should be free of any mark, clean and shiny after the complete removal of chalk residue. Maintenance is an important exercise that ensures that your marble product should keep shining like new and last for decades after its installation. Marble is a wonderful natural stone and you can the best of its varieties from India – a leading manufacturer and supplier of marble in the world. A range of marble products are available with numerous marble manufacturers and exporters from India and you can contact them to import any marble product in desired finish, size, color and design to your country. An Indian marble exporter should be one, which holds a global reputation of safely delivering quality marble products within specified time frame in various countries and in case you are looking for all these qualities in a marble exporter from India, then Regatta Universal Exports can be your one-stop-destination.